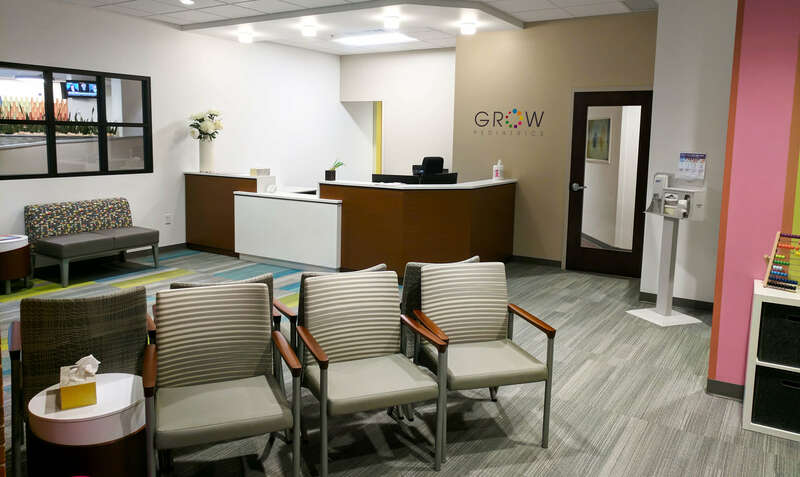 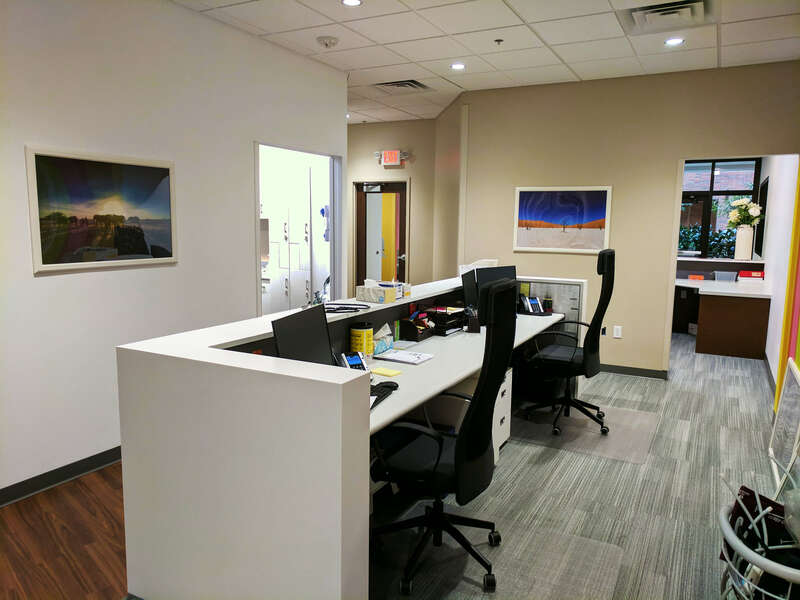 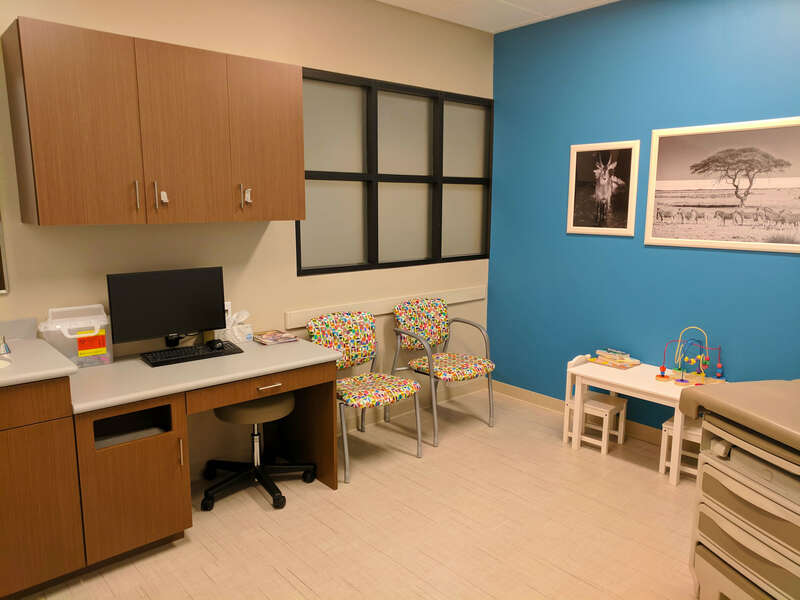 Mohagen Hansen Architecture | Interiors provided planning, design, and furniture specification services for the remodel of Grow Pediatrics (formerly known as Dakota Pediatrics) in the Woodlake Centre building in Richfield, MN. 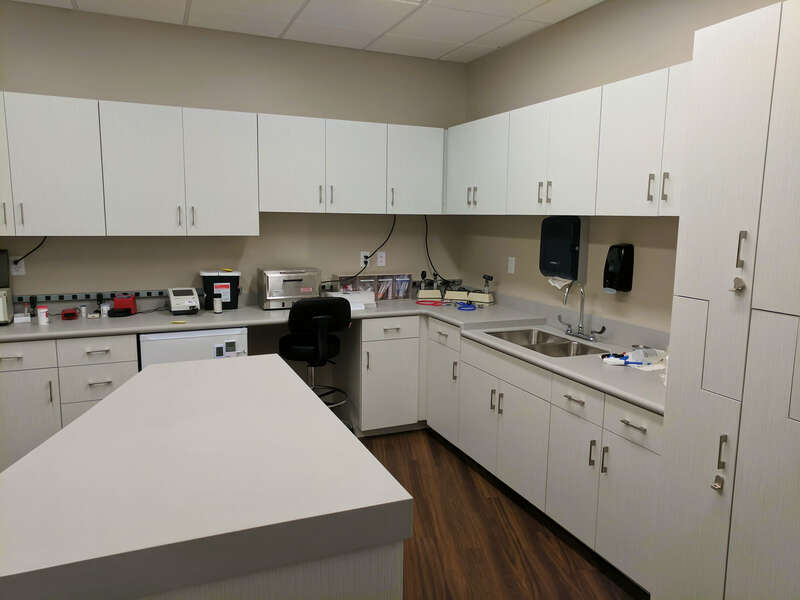 The 3,772-square foot clinic incorporates a convenient and practical layout to best utilize the small space by locating the nurse or care-giver station between the reception area and the lab for easy staff access. 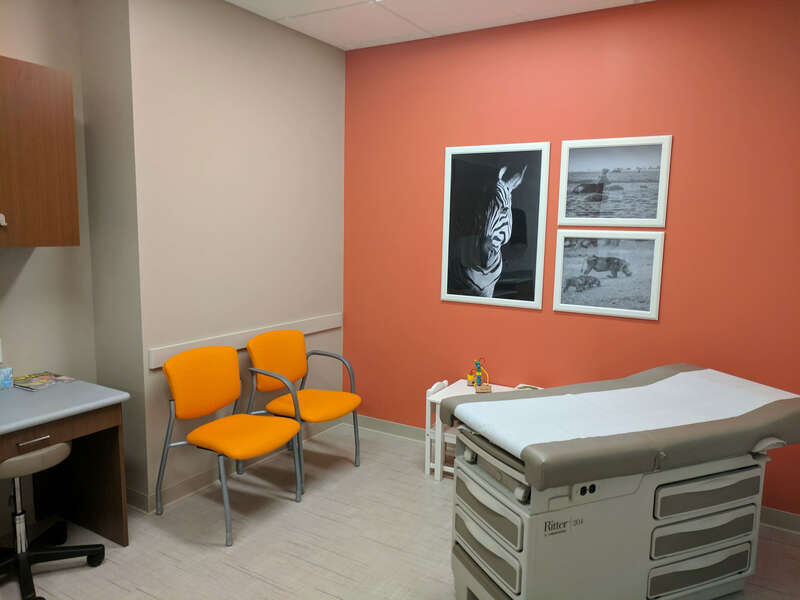 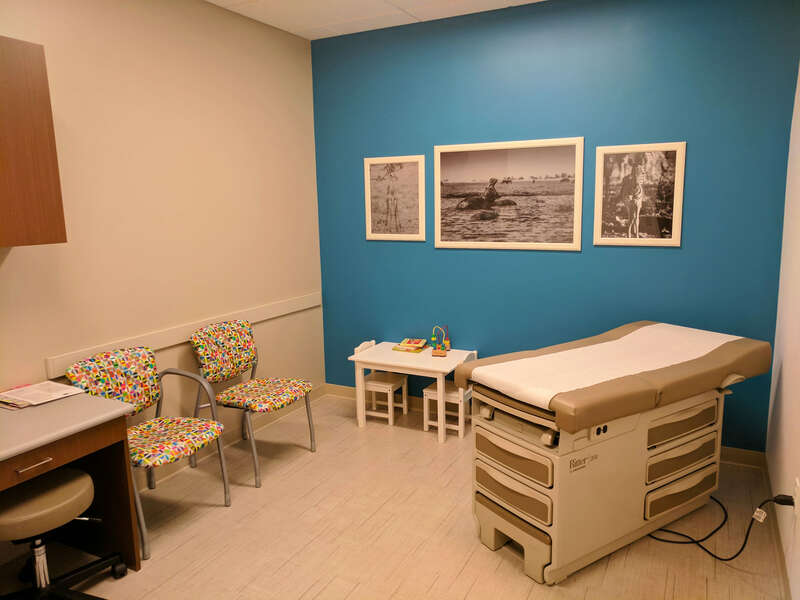 The clinic has eight exam rooms, each of which contain pops of color provided by paint and guest chairs. 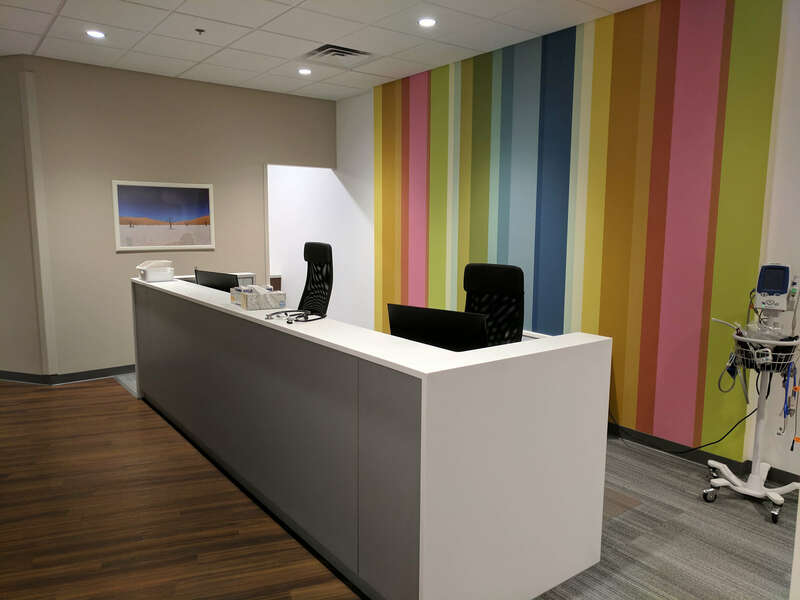 The contemporary, colorful wall covering used in the lobby and waiting room is offset by the neutral furniture and floor covering. 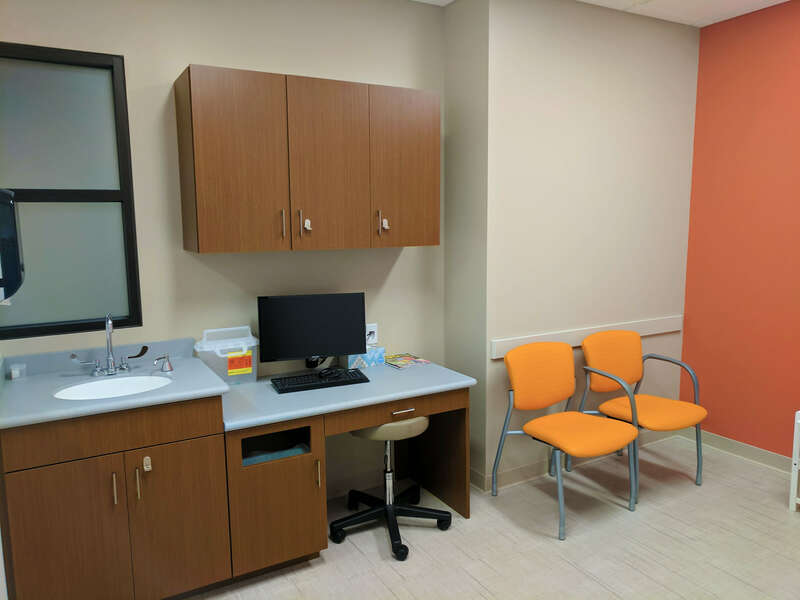 The design team specified fun, leaf-shaped stools for the children, which tie in with the natural color, while playful pieces of furniture that can be connected to one another create comfortable bench seating. 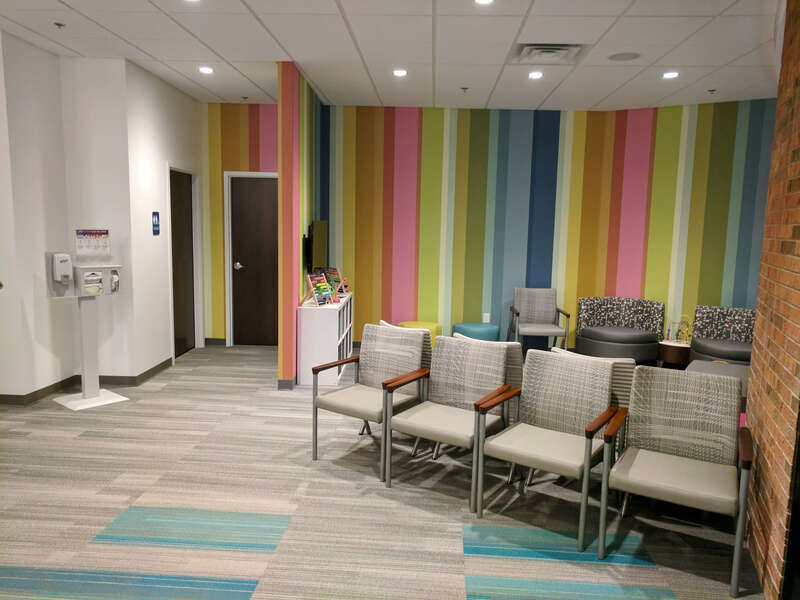 The rebranding of Dakota Pediatrics to Grow Pediatrics took on a fresh, contemporary aesthetic, making the clinic both fun and exciting, while appealing to all ages.